Tragically, legendary boxer Muhammad Ali died Friday, June 3, at the age of 74 due to respiratory complications. The legendary heavyweight champion lived a life full of triumphs, activism, and success, and he was also a man devoutly dedicated to his religious beliefs. In a July 1977 interview, a child asked Ali how he would spend his retirement, and the response the child got was a surprising rumination of the fleeting nature of life. Ali was not a man who offered up simple answers, and it took him nine minutes to explain why he wanted to spend his retirement focusing on his relationship with God and doing as much good as possible. Ali's religious and spiritual journey began in earnest when he joined in the 1960s, but it continued to evolve throughout his life. After he retired from boxing in 1981, he put his philosophical musings about just how short life is into practice by becoming a staunch humanitarian and a man whose faith in a higher power was unwavering even as he was diagnosed with Parkinson's Disease. When most people are asked how they want to spend their retirement they are likely to mention traveling, pursuing dreams they put on hold, or just relaxing. Ali made it clear his goals were much more spiritual. It should be noted, Ali was just 35 years old when the question of retirement was posed to him by a young British boy. He could have given any answer, really. A boring or safe answer would have been perfectly acceptable, but he truly considered the little boy's question before launching into an answer that forced the entire crowd to face their own mortality. Ali asked them to consider how many hours they spent sleeping, traveling from one place to another, attending school, and absorbing entertainment. He then told them to remove all of that time from their lifespan and think about the amount of time they truly had left to leave their mark on the world. Ali could not speak for the crowd, but he knew exactly how he wanted to spend the remainder of his life. "So what I'm gonna do when I get out of boxing? Is to get myself ready to meet God," Ali said. "Don't people die everyday? It's a scary thing to think that I'm going to hell to burn eternally forever so what am I gonna do? When I get out of boxing or when I'm through I'm gonna do all I can to help people." Those words were not empty. 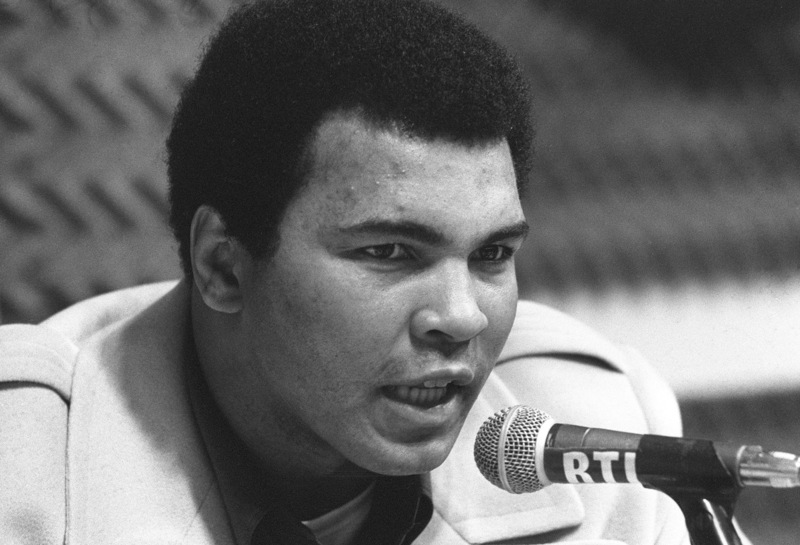 After his retirement in 1981, Ali became an ambassador for peace. He traveled to Afghanistan, Lebanon, and Iraq to spread his message of peace. He delivered medical aid to Cuba, met with Nelson Mandela after his release from prison, and focused a great deal of his time to eliminating world hunger. These are just a small handful of the amazing things he did to make the world a better place. "I'm going to dedicate my life to using my name and popularity to helping charities, helping people, uniting people," Ali said. "We need somebody in the world to help us all make peace. So when I die, if there's a heaven, I want to see it." Ali kept true to his word when it came to his retirement goals. He left the world a better place, and paved the way for more people to continue his work now that he is gone. Was the answer he gave that little boy in 1977 conventional? Not in the least, but it was an answer befitting a man who would become a legend.